UPDATE: Blizzard has responded to the controversial changes via Twitter and is looking into the situation. We could probably fill an entire website with “[Game Name] Players Aren’t Happy” headlines, so it takes something special to warrant the full write-up. In this case, it’s yesterday’s patch for Hearthstone, which teased a new event and added a new bundle but also made some curious changes to cards that have players calling for reversions or refunds. Tess Greymane’s Battlecry is now limited to 30 cards, and will stop if she is silenced, killed, transformed, leaves the battlefield, or if any hero dies. 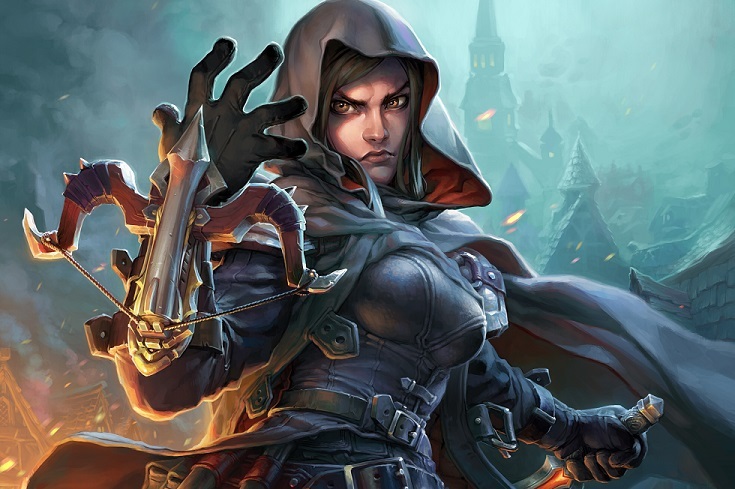 Tess Greymane is a legendary rogue minion that replays all cards you’ve played in the game that came from another class. It’s certainly a niche card, one that requires a very specific deck and — since you’re going to be grabbing non-rogue cards pretty much at random — has a high RNG factor. Nevertheless, her new limitations have riled players up. They’re similar to what happened to Yogg-Saron, Hope’s End, another RNG-mad card from the Whispers of the Old Gods expansion. The big difference is that Yogg-Saron’s changes were broadcasted to the player base before they happened, and when they did happen, there was a period of time when players could disenchant him for his full Arcane Dust value (1600) rather than the standard amount you get (400) for disenchanting a legendary. Neither of those are the case with Tess Greymane. Hearthpwn sums up the issue in greater detail, as well as highlighting a few similarly nerfed cards. Adding insult to injury is the fact that Principal Game Designer Mike Donais directly stated that Tess will work like pre-nerf Yogg-Saron two months ago. Granted, he added “currently” to his answer, and things will always change, but this still probably isn’t the best way to go about adjusting card powers. There are plenty of angry threads about the changes on the Hearthstone subreddit; the biggest one I can find currently has over 15,000 upvotes and 1,400 replies. It’s a messy situation, and one that Blizzard will probably need to address before too long.